Note that this is not the first page of TTP2! If you've been direct-linked here, try starting at the intro so you can get a better feel for what this guide is intended to be. As a ShackTac rifleman, you are the most fundamental element of our combat power. The proficiency you demonstrate is a key factor in the survival of yourself, your fireteam, your squad, and ultimately the entire platoon. Every person plays a role in the bigger picture, and we are only as strong as our weakest link. Our aim is to make even our weakest link into a skilled player. To this end, every player must be proficient and familiar with the role of a basic rifleman first and foremost. While you may want to fly planes and helos or drive tanks, it is important that you build upon a strong foundation of basic rifleman skills and are intimately familiar with "life as an ArmA2 infantryman" if you hope to effectively use such vehicles in the future. All vehicles are oriented around supporting the infantry, and the only way you can be truly effective at this is to know what it's like to be an infantryman to begin with. To help you fulfill your role and contribute to the success of our missions, we'll now cover the "Basic ShackTac Rifleman Skills & Knowledge". This should give you a solid baseline of knowledge that will keep you alive long enough to learn the finer points through virtual combat experience. Fireteams are the most fundamental combat elements of our platoon structure. You will learn much more about them (and everything else about our structure) in the "ShackTac Platoon" section later on - for now, we will cover the basic premise behind them. Each fireteam consists of four players - a leader and three subordinates. As a new player, you will end up acting as a rifleman in one of the nine different fireteams in our standard platoon. As the rifleman, you will be under charge of one of our more experienced players, acting as the fireteam leader. He, in turn, will be under the command of a squad leader who leads the three different fireteams that make up each squad. Likewise, the squad leader will be under the command of the Platoon Commander, who commands the three squads that form the platoon. The key aspect of our organization is that of closely-knit teams - a rifleman by himself is not nearly as useful as a group of four players working as one cohesive unit. Fireteams look out for their own members as well as those of their fellow fireteams. They are the tip of the spear. Note that there are no 'set' fireteams in ShackTac. You will find yourself grouped with different players in different missions, and your comprehension of this guide is what will allow you to all act as a cohesive and combat-effective group, regardless of who exactly is in your fireteam. In order to play at the highest possible level of coordination, teamwork, and effectiveness, there are many things that each player must be familiar with. This entire manual is an example of that, of course. The key foundational aspects of this are in the 'basic responsibilities' of each fireteam member, and by association, every player in our group. In order to maintain cohesion and combat effectiveness, every player in our community is expected to abide by these simple ground rules. Know your squad and fireteam. With our structure, squads are lettered and fireteams numbered. Remember what team and squad you are in, as this allows you to pick out, confirm, and act upon voice orders relevant to you. Make sure you are familiar with your fireteam leader's voice, as well as that of your buddy team member. Listen to your team leader and follow their directions. Fireteam and Squad Leaders are typically the more experienced players. Their role is to try to keep you alive and in the fight, while accomplishing whatever mission the squad may be tasked with. Listen to them and stick with your team. Practice fire discipline and know the Rules Of Engagement. Do not be the one to give away a stealthy approach by accidentally firing your rifle or firing at a target without having been given clearance. Once things heat up, and the element of surprise is lost, you're usually free to shoot at anything that poses a threat. Until then, maintain good fire discipline, in accordance with the instructions of your element leader. Maintain appropriate interval. Bunching up gets people killed. Keep several meters of interval between yourself and other players at all times. If not, a grenade, rocket, or machinegun is going to have a fun time with you and those you have clustered with. Bunching up + explosives = bad combo. Maintain situational awareness, avoid tunnel vision, and know where friendly forces are. 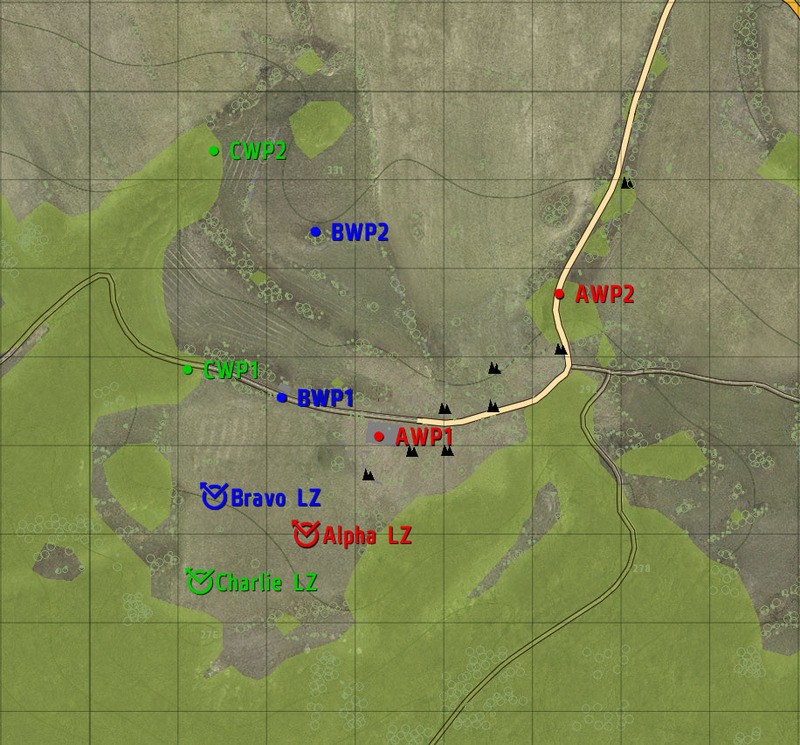 This all helps to prevent being surprised by enemy contacts, prevents friendly-fire incidents, and gives you an idea of what areas may need more observation based upon how the squad or platoon is oriented. More on this in the "Situational Awareness" section, later. Cover your sector. 360° security is needed at all times. This means that with a fireteam of four, every person should be observing/covering a different area. Good security means that your team is that much less likely to be surprised by the enemy, and thus is going to survive longer in combat. When halted, ensure that somebody is paying attention to rear security as well. If nobody else is, take it upon yourself to do so - your team will thank you later. Scan for, spot, and call out enemy contacts. You can use the right-click "reveal" feature to call out targets to people in your own group (fireteam), but we prefer that you do it concisely via voice instead, either via in-game Voice-Over-Net (VON) or through Teamspeak (TS), so that everyone can hear you. When giving the direction of contacts, relative directions (front/left/rear/right) can be used when the friendly forces are moving in a known direction and front/rear/right/left are known to everyone. Otherwise, compass directions and degree bearings should be used. More on this in the "Contact Report" section later on. Know your target. Don't wildly shoot at everything that moves, as that tends to cause friendly fire casualties. If in doubt, don't shoot. Ask someone else in your fireteam to check out the questionable contact. Check the map to see if friendly forces are where you're looking. If you're still unsure, ask the element leader and he can take it up the chain of command if necessary. Once you pull the trigger, there's nothing you can do to bring that round back. Don't be the one to shoot a friendly through carelessness! Be concise on comms. Learn how to speak concisely on voice channels, to avoid cluttering them up when they're most needed. Avoid crossing lines and lanes of fire. If you need to move past a person, always try to pass behind them. If you ever do need to move in front of someone in a combat situation, ensure that you call them by name and tell them that you're about to cross their line of fire. Do so via "Direct Speaking" VON when possible. Obviously common sense will dictate when this is necessary - crossing in front of someone during general movement towards an objective is not a huge deal and does not merit a call, whereas running in front of someone during a firefight can get you killed and requires coordination with whoever you need to cross in front of. Always work as part of a buddy team. More info in the "Buddy Team" section, next. All of these topics are covered in more depth throughout this guide, so if you're not 100% sure on any of them, all should be explained by the time you're through with this. The buddy team concept ensures that every person has at least one other person looking out for them at all times. It simply means that you always move with, watch out for, and fight with another person at your side. 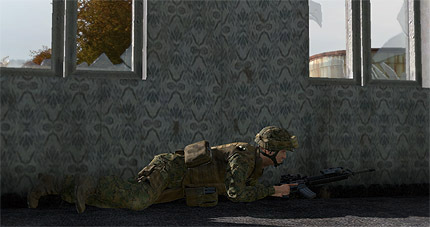 Buddy teams are standardized in the platoon, though fireteam leads can choose to change the pairings as the situation dictates. As a rifleman, you are the junior player of the fireteam, and because of this, your combat buddy is the Fireteam Leader. This means that you should follow him and act as his "right hand man". More info on this is included in the "ShackTac Platoon" section later on. The other two members of your fireteam are the automatic rifleman and his assistant, also known as the AAR (pronounced "a-a-arr"). They will work as their own buddy team, and they're responsible for the heavy firepower - the M249 Squad Automatic Weapon. Stick with your buddy. When they move, you should be with them. Together you are far more effective than apart. Communicate with your buddy. If it's important, let them know. If you're moving, say so, so that they can know to cover you. Good communication keeps everyone working together and aware of each other's status. Cover your buddy. Cue off of your buddy's movements, sector of observation, and so forth. If they're watching one way, cover the other way. If they're going to cross a danger area (ie: street), cover them as they move. Pull your buddy out of the fight if they go down. If you are incapacitated, you can count on your buddy to come to your aid. Likewise, if your buddy is incapacitated, you know to step forward and do your part to save him or contribute towards someone else, such as the medic, saving him. This may entail dragging him out of a danger area, carrying him to a medic, using smoke to conceal his position, or simply killing whoever tried to kill him. Remember that you are no good to him dead - if the tactical situation does not allow you to immediately help him, your task is to help make the situation more favorable - typically accomplished by killing the enemy, or coordinating with others to help kill or suppress the enemy. If your buddy is hit, a rapid assessment must be made as to whether he is dead or wounded, and whether the situation allows for you to safely pull him to cover. A dead teammate can wait, whereas a wounded one may need immediate attention from a medic and your action may be the deciding factor between life and death. If your buddy goes down, call out to the other fireteam buddy team and get them to cover you while you drag him to safety. Once you've made it to cover, call out to the squad medic and ensure that your buddy is treated. Depending on the tactical situation, you may want to stay to provide security to the medic or move back to the fireteam and continue fighting. Living by these guidelines is a key factor of success in battle. Learn them, know them, and be sure to always practice them. One of the most fundamental combat survival skills is that of situational awareness. This simply means that you are alert to your surrounding environment and can leverage your knowledge of the battlefield's state to make tactical decisions and judgment calls. Maintaining good situational awareness is key to preventing friendly casualties. Proper situational awareness will allow you to spot the enemy before they spot you, detect an ambush before it is sprung, and notice unusual characteristics of the environment that may betray the presence of mines, booby traps, enemy vehicles, fortifications, and more. It is the responsibility of every member of the platoon to maintain a high state of situational awareness at all times. To develop and maintain that situational awareness, heed the following initial guidelines. Whether you're moving or halted, you should always be scanning for the enemy. Murphy's Law tells you that the moment you let your guard down and stop scanning is the moment the enemy will appear. Cover whatever areas you have been assigned to, or cover whatever area seems to need coverage. Adapt to the situation as needed, and be able to pick out areas that may be more dangerous, and warrant more observation, than others. When you're halted, take a knee, find cover if possible, and continue to scan. Stay alert! There is no "safe" time in a combat zone. If you let your guard down, either you will die from it, or, worse, you will get a teammate killed because of it. Getting yourself shot is one thing - getting a teammate shot, that's something else best avoided. Be aware of the risks of 'tunnel vision' and avoid falling into that state. Tunnel vision occurs when a player gets so fixated on a specific target or object/area that they neglect to stay aware of the "big picture". Remember that for every enemy you see, there are probably three or four (or more) others that you do not. Fixating on a single enemy at the expense of everything else is likely to get you flanked and killed. Stay alert and aware and you will greatly increase your odds of survival. Check the map frequently to maintain awareness of friendly positions, suspected enemy locations, and more. 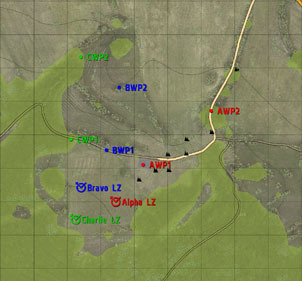 The map is used by our group to mark enemy contacts, and thanks to our platoon structure and how it is displayed in-game, the positions of friendly squads and fireteams can also be seen on the map. Ensure that you check it frequently to keep up-to-date on suspected enemy positions as well as friendly positions. 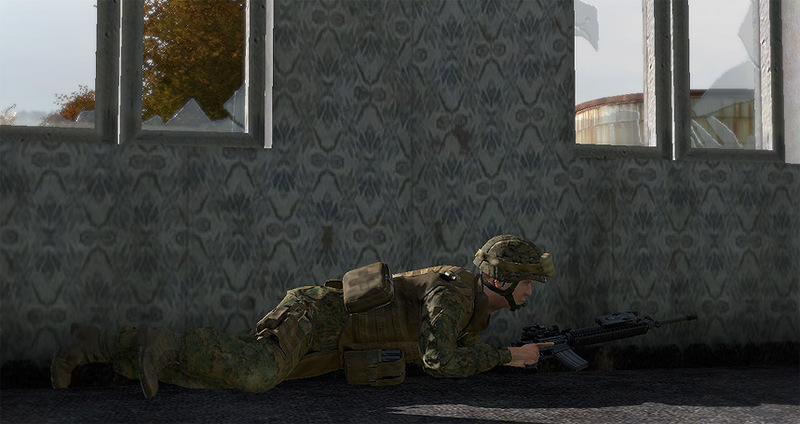 The rest of this section will detail additional situational awareness considerations, tips, and guidelines that should help give you the best chance of surviving your virtual combat experiences. In my opinion, the single greatest thing a player can do to increase their level of situational awareness, as well as general immersion, is via the TrackIR series of head tracking devices. I've been using TrackIRs since the 2nd iteration many years ago, and more recently I've been running a TrackIR4 with ArmA1 since October of 2006. I've found it to be an absolutely invaluable tool. 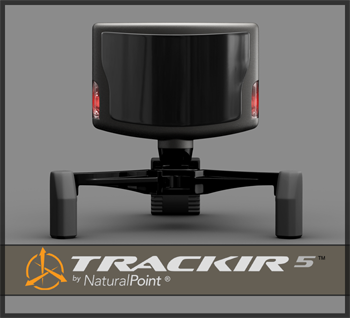 NaturalPoint has just recently put out a newer model, called the TrackIR5, which I had the good fortune of using for several months prior to A2's release. 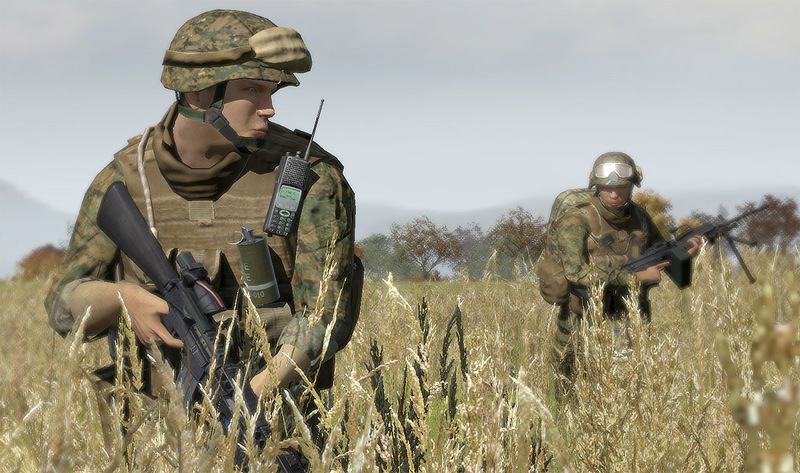 Like the TIR4 before it, the TIR5 is pretty much a must-have if you enjoy ArmA2. In short, the TrackIR device allows a player to use his head and body movements to control in-game actions. ArmA2 uses 4 of the total 6 degrees of freedom - these are zooming, leaning, and, most importantly, looking around (pitch and yaw). The TIR5 has taken all of this to a new level of precision, and when combined with their (excellent) new software package, it becomes an even more new-user-accessible piece of gear. Writing this I am almost ashamed to admit that the TIR5 perched on my monitor is the first piece of NaturalPoint kit I have ever owned (the second being the TrackClip Pro that arrived with it). Actually, I am ashamed. Intuitive is a chronically over-used term in the world of games, but if anything deserves that particular adjective it's this product. Dsly's video (top post) does a great job of showing you the concept. Nevertheless, I suspect I'm not unique when I say that however much you might think you can anticipate the effect ... you're wrong. My first simple walk in the ArmA countryside with the additional immersion of TIR simply blew me away. And that was before I started shooting things. For any serious ArmA player (and future ArmA2 player) able to afford it, this is a no-brainer investment. The video I did on the TIR5 in A2 can be watched below. Judge for yourself. Apart from that, there are some aspects of it that I'd like to mention, for anyone thinking about grabbing one. When I first started using TIR4 with ArmA1, I tended to focus on the vehicle side of things. It was a great assist for flying helos, but at the start I did not use it for infantry all that much. Over time, that changed, and in A2 now with TIR5 I find it to be an absolutely second-nature and completely natural way to control my view as an infantryman. There are two main reasons for this being so significant in A2 - the first is that A2 has overhauled how TIR movement is handled in the game (making it more responsive), the second is that the TIR5 has a much higher level of precision than the TIR4, resulting in smoother tracking and more responsive movements. Combine those and the change is drastic and very noticeable. Scan to my front and sides without having to turn my entire character around, or change where I have my weapon pointed. This allows me to, for example, run forward and be constantly scanning a wide area to my front and sides while still running in the same direction. Maintain formation and interval with other players. If I'm advancing on-line with a group of other ShackTac members, I am able to keep my place in the formation simply by looking left/right to see where my fellow players are, and adjusting as necessary. This is so quick and natural to do that it becomes second nature in no time at all. Minimize my visual signature when prone, by looking around without shifting my entire body. The eye catches movement easily, as we all know. When prone, with TIR, I can scan around with my eyes/head and leave my body static, which results in a lot less movement than trying to turn my entire body just to look in a different direction. Do threat scans when reloading. As a rule, I do a quick left/right scan any time I reload my rifle. This has saved me on several occasions and is a great use of the snappy, responsive tracking that occurs from TIR5 and A2. Look at people when talking to them, without aiming at them. When utilizing the ArmA2 Voice-Over-Net system, being able to look at the person you are speaking to in the heat of combat can help avoid confusion and add a more visual and personal feel to the experience. It's rather cool to see someone turn their head and shout over at another player, and then see that other player turn their head as well and shout something back, when they're both running with TIRs. Check my six in general, but also specifically when in urban environments, to make sure I'm not advancing faster than the rest of my team can follow. A2's default head movement allows for you to be able to look all the way left or right, such that you can see behind yourself. Utilize the incremental leaning to barely peek my head/rifle around a corner to fire, reducing my exposure to return fire. Incremental leaning allows you to lean a percentage of the full lean - instead of leaning all the way to the limit, you can lean 10%, 20%, etc, giving you more precision in how much of your head is peeking around cover. Scan while on a mounted weapon, without having to move the weapon in the direction I want to look. When dealing with vehicles like HMMWVs with their mounted M240s, M2s, and Mk19s, the turret itself can be slow to move. Being able to scan visually without moving the turret, via TIR, is very helpful in such situations. All things helicopter. If you're flying without a TrackIR, you're really missing out. Same with planes, too. TIR, simply put, has made me a far, far better pilot than I ever was without it. All in all, I highly recommend it. If you think A2 is your kind of game, you'll do well to acquire a TrackIR yourself. Check out trackir.dslyecxi.com for some coupons on it, too. I take this all very seriously and would not recommend this if I didn't believe so strongly in it. There are many things that a player must stay aware of and be on the lookout for during the course of a mission. Depending on whether combat is ongoing or not, your may find yourself focusing on different aspects of your situational awareness. In light of that, these guidelines are broken down into general, pre-combat, combat, and post-combat tips. Keep these in mind at all times, regardless of whether combat is actively occurring or not. Where are friendly forces located? 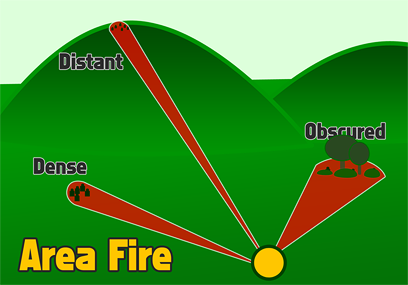 Knowing this will help you to pick which areas to spend your time observing, and will help to prevent friendly fire. This includes knowing where your own fireteam members are, where your squad fireteams are, as well as where other squads in the platoon are located. Where is the enemy most likely at relative to you? What are the likely positions they will be occupying? What can you do to minimize your exposure to the enemy? Where is the nearest useable piece of cover or concealment? This is important to know if you come under fire unexpectedly, or make visual contact with the enemy and must enact a hasty ambush. Where are my teammates watching? Knowing where friendly units are looking helps you pick a direction to watch that will complement their observation sectors. Shrubs and bushes, particularly on the edges. Shooting through a bush or from within one isn't always that easy. You'll often find people firing around the sides of a bush. Large rocks, boulders, stone fences, and fallen trees. All of these provide nice hard cover and tend to attract people to them due to their protective attributes. Note that trees knocked down mid-mission will not provide cover, but those that are placed as part of the environment will. Rooftops, especially near any protrusions such as stairwells. Protruding stairwells, air vents, etc can be used as cover for anyone using a roof as a firing position. The edges of walls, buildings, etc. Hard cover such as walls and buildings are of great appeal to an infantryman, and because of that, they should be given appropriate attention. Knocked-down trees, bushes, fences, etc. If the enemy has vehicles they may accidentally run down trees, bushes, or other obstacles and give away where they've been. The enemy may also knock down trees and then use them as concealment, or to clear fields of fire when in the defense. Prominent structures. Snipers, machinegunners, and forward observers tend to head into tall structures when they have an opportunity to do so. Being aware of these structures, and scanning them accordingly, will help to avoid nasty surprises. Once contact has been made, and fire is being exchanged, start paying attention to these aspects. Muzzle flashes (night), muzzle smoke (day). You may not always see the precise outline of an enemy, but that big puff of smoke and dust (in the day) or flash of flame (at night or in low light situations) that keeps popping up from the same location over and over again can act as a great indicator to where the enemy is located. Tracers. Tracers are brilliant neon signs that say "I'm firing from over here!". These are the most visible signs of the enemy, and the easiest to trace back to the shooter's origin. Not all weapons will fire tracers, and some weapons will even use special 'dim tracers' that can only be seen with nightvision devices. Also bear in mind that tracers coming straight at you may be hard or even impossible to spot in daylight. Smoke. If the enemy fires a heavy weapon such as an RPG, you'll be able to pick out their position by the large volume of smoke produced by the weapon's backblast. You may also see the enemy using smokescreens to mask their movement - typically, a cloud of smoke created in such a fashion is a giant "SHOOT HERE" sign, since it's most likely being used to conceal the enemy's movement. However, keep in mind that the enemy may sometimes lay smoke as a diversion. Whether the enemy has fled or been defeated, or after coming upon the scene of dead enemies, look for the following. Stragglers or last-stand enemies. Just because you think you killed them all, doesn't mean that you killed them all. Stay ever vigilant and check any area where a lone survivor might try to hide to ambush you and your teammates. Clear the area before you start checking bodies. Incapacitated enemies. You may come upon enemies who have been knocked unconscious or have passed out from damage, particularly in . Never assume that a downed person is dead - always check them to be sure. Check what weapon systems have been left behind if the enemy retreated. If they abandoned valuable weapons like RPGs, anti-aircraft missiles, machineguns, crew-served weapons, etc, they are potentially disorganized and a decision can be made as to whether the fleeing enemies should be pursued. A sharp ear is often as valuable as a sharp eye, and there are several things you will want to listen for at all times - the sounds of combat, vehicles, movement, and voices. Sounds of combat. This is of course the most obvious one. If you hear firing, figure out what direction it's coming from and alert your teammates if they haven't already noticed it. Occasionally you will run into 'green' enemy players negligently discharging their firearms (typically because their finger twitched and they weren't observing the 'middle mouse safety' rule); this can be used to determine where enemies are, even if they're out of direct visual observation. The more experienced you are, the more likely you'll be able to distinguish the different types of rifle fire from a distance. Sounds of vehicles. Being able to hear a vehicle from a distance, as well as identify the class by the sound it makes - such as being able to distinguish the noise of tracks from wheels, or rotors from jet engines - can help to prevent surprise and maintain initiative. Sounds of movement. Soldiers make noise as they move around the battlefield. Listen for it - the sound of boots on gravel, uniforms brushing against trees, the thumping and rustling of someone running through underbrush, or anything else that catches the ear. Particularly in denser terrain, this may be the only sign you have that the enemy is there before you run smack into them. Voices. Know who your teammates are, and know their voices. If you hear someone you don't recognize, it could quite possibly be the enemy. If you know you're in enemy territory, stay particularly alert for any unknown voices, and use any that you hear to help guide you towards the enemy and deal some damage to them. Bear in mind, too, that the enemy may be crafty and attempt to lure players into an ambush by having one person speak loudly while others wait in ambush. Being able to visually differentiate between friends and foes is a critical skill to have, one which requires some practice to attain. It is important to be proficient at IFF, as someone who cannot tell the difference between a Russian Spetsnaz and a Marine Force Recon member is a danger to their entire team. There are several basic guidelines that can be followed to help prevent friendly fire incidents. Keep your finger off the trigger. Keeping your 'firing' finger rested on your middle mouse button, instead of the fire button, helps to prevent an accidental and potentially fatal shot at the worst possible time. This is described in a bit more detail later. Think before you pull the trigger - establish positive ID (PID) before firing. Use your head before your rifle. If it doesn't feel right, if something seems "off" or amiss, hold fire. If	it looks like a friend, has a friendly weapon, isn't shooting at you, but seems like it's in an enemy area... it may be a friend, and you can't risk taking a shot without being sure. If in doubt, don't fire. Ask a teammate or your team leader to check out a suspected enemy if necessary. 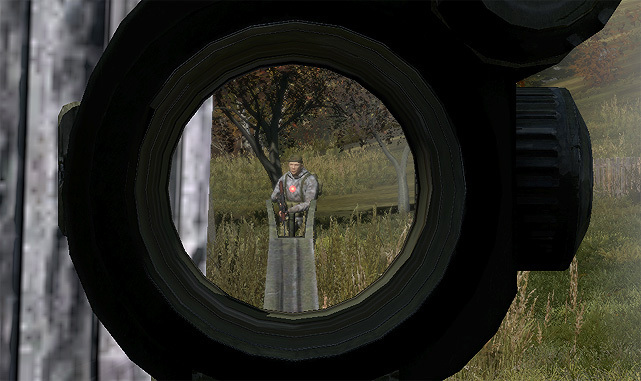 People with optics (ie ACOG rifle scopes, binoculars, etc) can be great help in identifying potential enemies. Stay alert as to where friendly forces are located, and communicate your location to others when appropriate. ArmA2 consists of six major factions - USMC, Russia, CDF, ChDKZ, NAPA, and civilians. The USMC and CDF comprise BLUFOR ('good guys'), Russia and ChDKZ are REDFOR ('bad guys'), NAPA is independent, and civilians are... civilians. Basic summaries of the combatant parties follow. This is the primary 'good' faction and is on Chernarus to support the CDF. They bring a variety of modern vehicles and equipment. More importantly, they bring Marines. Chernarussian Defense Force (CDF). The native army of the country, supported by the USMC. Still use Eastern weapons and vehicles, and aren't as high-tech as the USMC and Russia. Russia. 'Peacekeeping' forces deployed to Chernarus. Due to the situation, they are the prime 'bad guys'. They're a modern military force, accompanied by lots of good equipment. Chernarussian Movement of the Red Star (ChDKZ, pronounced "Chedaki"). Communist insurgents that are supporting the Russian forces. Most of their gear is stolen from the CDF and slightly repainted, typically featuring their red-star logo painted on hastily. Low-tech guerillas, allied to whoever they feel like at the time. Rarely if ever have any vehicle assets apart from cobbled-together 'technical' gun trucks. 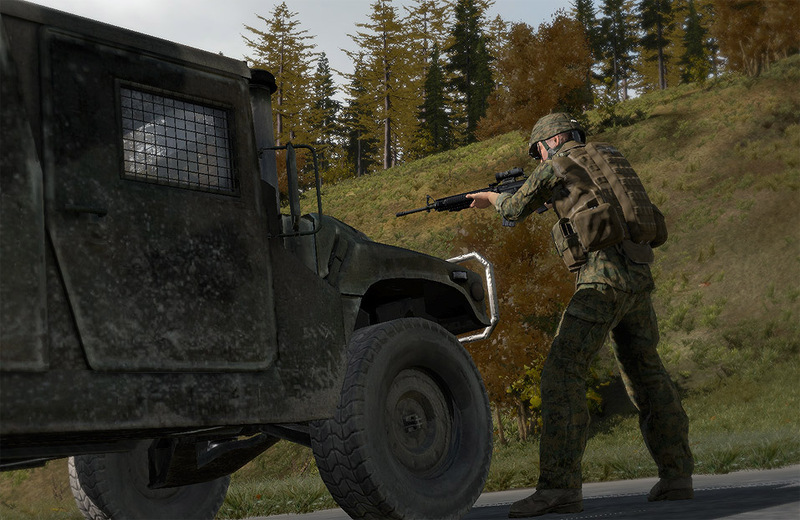 More information about the factions can be found on the official ArmA2 site, here. The important aspects of the factions, in our terms, are what they look like. A personnel identification guide and basic vehicle guide follow this section. Pilot, Crewman, Team Leader, Machinegunner, Rifleman, Sniper. It is important that players are familiar with the different uniforms of the various factions - some of them are pretty close to each other, and can easily be confused in the heat of a fight if one isn't very familiar with the distinguishing features. Note that the ChDKZ units, when masked, tend to have green ski masks. Note that the NAPA units, when masked, tend to have black facemasks. Note that most CDF vehicles will have their yellow/green star logo located on the hull somewhere. Note that most ChDKZ vehicles will have their 'red star' logo painted on them somewhere. How an individual moves around the battlefield is the most important aspect of "Not Getting Shot". Proper movement will keep you alive, whereas sloppy movement tends to result in forcibly being ventilated by small, fast moving objects. The following guidelines should serve you well if you heed them. Move from cover to cover, or concealment to concealment. If you're under fire, do so in short rushes. Ensure that you know where you're going next before you start to move from your current position. This helps you avoid getting caught out in the open without a plan. Maintain good interval. Bunching up gets people killed. Try to keep at least five meters between yourself and any other players whenever possible. Ten meters is even better. Doing this will help to minimize the impact of enemy artillery, grenades, mines, other explosives, and the initial burst of fire from a surprise contact. Conserve your stamina. If the situation isn't urgent, avoid sprinting. There is a tendency for players to sprint all over the place, regardless of the tactical situation. Inevitably this ends up getting people killed, since they tend to run into enemies after an extended sprint and thus cannot aim effectively due to the incurred stamina penalties. Everyone should work on reserving their stamina for situations where it is desperately needed, such as an ambush, sniper fire, or any other time when getting the hell out of dodge takes priority over everything else. Jogging can be done indefinitely without penalty to the player, whereas sprinting starts off at a rapid rate, quickly builds up your breathing to the point where your aim is quite shaky, and gradually slows your sprinting speed over time. So, when given the choice, jog or walk whenever possible. Not only will you live longer, but it'll make it that much easier for us to maintain decent interval and coverage of each other while moving towards enemy contact. Bear in mind that stamina in is very different, and will be covered in another section later on. Know where to go when contact is made. If you stay aware of your environment, you should be able to instantly move towards cover or concealment if your team encounters unexpected contact. The last place you want to be standing is the place you are at when contact is made - if it's an ambush, someone is probably either already aiming at you, or trying to get you in their sights. Move with speed and intensity to a better position and then begin aggressively fighting back. Take a knee at halts. Kneeling or crouching lowers your exposure, which makes it harder for someone to hit you from a distance. Get into the habit of taking a knee any time that you're halted for more than a second or two. If you expect to be stationary for a longer period of time, you may want to go prone, find better cover or concealment, or both. Walk when the situation warrants it. Walking allows you to keep your weapon up and ready to fire, and allows you to move slowly, deliberately, and with a great deal of caution. Walking is the standard movement mode when in urban or otherwise tight environments. It allows for a very high level of situational awareness and movement coordination to be achieved. Note that you can walk at two different speeds, via holding or not holding the 'shift' key. Use shadows for concealment at night, but only when in close proximity to the enemy. Shadows, combined with very slow and deliberate movement, can make it hard to spot someone. However, be warned that this effect relies on two things - one, that the enemy is close enough to you that they see shadows the same place that you see them, and two, that the enemy has shadows enabled on their system. If either of those are not true, shadows won't help you at all. It's a gamble at times, but as long as you assume that the enemy may still see you, you can minimize the risks. Don't skyline yourself. Skylining is mainly a concern when playing against humans, as the AI do not appear to recognize it. Skylining is simply silhouetting yourself against the sky - this can happen when walking on the top of a piece of terrain that is higher in elevation than the enemy. If you absolutely must cross a ridge and think the enemy might be looking that way, go prone and try to cross the ridge where vegetation provides some amount of concealment. The mod introduces stamina as a more significant factor to movement. As in reality, the individual infantryman can only carry so much and still remain capable of sustained tactical movement. Tactically, the stamina changes in help to emphasize the role of terrain and proper combat loads in a battle. Hills and other inclines cause greater fatigue, and sprinting cannot be maintained indefinitely. Heavy gear is likewise fatiguing to carry, and players must move intelligently with consideration paid to their load and stamina. 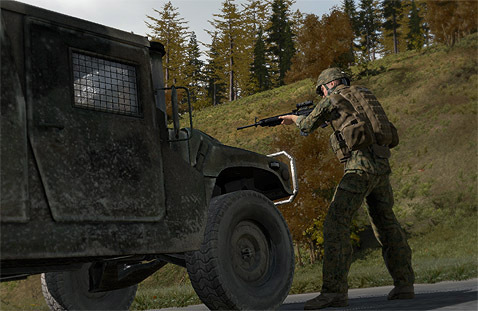 These changes cause the pace of the battle to lean much closer to realistic levels than default ArmA2, and also help to prevent people from attempting to carry an arsenal more appropriate for a game like Doom on their backs. Dealing with stamina is best done in a few different ways. Some tips follow. Take reasonable combat loads. A basic fighting load should include around ten magazines, a rifle, bandages, and some fragmentation grenades. This leaves you room to pack a bit extra as well without becoming unnecessarily overburdened - for instance, an assistant automatic rifleman will be able to carry additional boxes of M249 ammo, while an anti-tank gunner can carry his launcher. The default ShackTac F2 mission framework has good standard loadouts that should serve the platoon well in most missions, though there will be exceptions. Sprinting everywhere is not the answer. It is easy to fatigue yourself unnecessarily by trying to sustain a high pace of movement for too great a period of time. Move around at a jog or a walk, and reserve your energy for times when you will badly need it. Take a moment to rest between significant moves, or during long sustained tactical movements. It only takes a short period of resting (preferably while crouched) to regain your stamina. Resting briefly at tactically appropriate times ensures that you maintain a reserve of stamina, which will come into great importance when contact is made. Resting also gives you an opportunity to more thoroughly scan your surroundings and increase your situational awareness. Many special roles from the Weapons Platoon and Weapons Company (described on the 'Attachments' page, later) carry gear that is significantly heavier than an average infantry fighting load. Javelin gunners, Stinger gunners, SMAW teams, M240 teams, crew-served weapon teams, and others fall into this category. When acting as one of these roles, you will need to pace yourself. Recognize that carrying hundreds of pounds of gear, to include your helmet, vest, armor plates, ruck, rifle, ammo, frags, and whatever special weapon you may be responsible for (along with ammo for it), will slow you down. Spread-load supplies. Whenever possible, special supplies like mortar rounds, anti-tank rounds, machinegun ammo, etc, should be spread amongst many people, either within a gun crew, or distributed in general throughout the platoon. Leaders must also keep in mind the stamina and load aspects of combat and movement in their planning. You will find that one of your primary goals on the battlefield is to find positions from which you have the most protection from enemy fire or observation yet also are able to put effective fires on the enemy. To do this, you will have to know the difference between 'cover' and 'concealment' and how to best take advantage of either. You should strive to always be in cover or concealment when combat is ongoing. If the enemy cannot visually locate you, he will not be able to accurately shoot at you. Even if he does know where you are, hard cover can prevent him from effectively engaging you. A machinegunner positioned in some concealing bushes. While they won't stop a bullet, they may prevent the enemy from seeing him in the first place. A rifleman uses a rock outcrop as cover. A slight move backwards would shield him from any fire from the front. 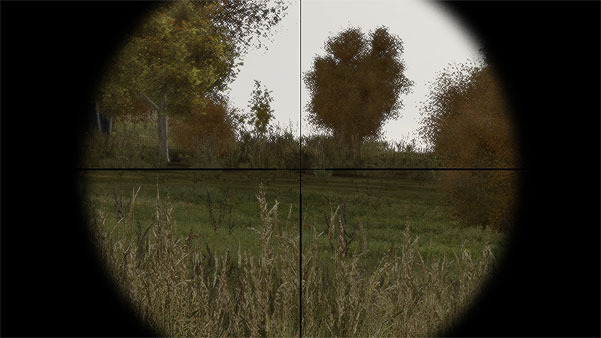 One critical thing to remember in ArmA2 is that, like in Flashpoint and ArmA1, the view you get from ironsight mode is offset down and to the right of your normal view. If you take this into consideration when utilizing cover, you can expose much less of your body. While the above illustration uses a tree as the example, the same principle can be applied to any kind of cover - lamp posts, large rocks, vehicles - and can significantly improve your odds of survival. 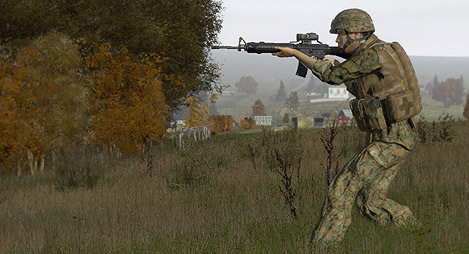 ArmA2's default lean is set up as an upper-torso lean which allows you to shoot around cover while keeping an even larger amount of your body protected from fire. The fact that you can lean and move at the same time is quite useful, as it allows you to position yourself exactly how you'd like in the least amount of time possible. Incremental leaning, available via TrackIR, also allows you to tailor exactly how much you're leaning at any given time. This can be useful when stealth is a concern. The level of accuracy that you are able to achieve with your weapon is based in part upon the stance you take. Standing is the least stable stance, with crouched being more stable, and prone being the most. You should get in the habit of taking a knee whenever firing at medium or long ranges, and even closer ranges if the situation permits. The benefit of taking a knee is twofold - one, you increase your accuracy. Two, you decrease your profile. The smaller you make yourself, the harder it is for the enemy to hit you. Simple stuff, right? When it comes to firing on the move, you can do it either when standing or crouched. Standing is the most stable in this case, whereas crouching and moving while trying to aim will tend to tire you out fast and increase your weapon waver due to the lowered stamina. Use the 'walk' feature to go into a "combat glide", in which you walk smoothly and are able to keep your weapon up and at the ready. Stay as far inside the room as you can get while still being effective. You want to try to position yourself so that your muzzle does not extend out to where others can see it. You also want your muzzle flash and muzzle smoke to be inside the room as much as possible. Expecting the enemy to come from the direction he is facing, this rifleman has backed away from the window to present a smaller target to the enemy as well as focus more specifically on a given arc of the town. When working with infantry, armored vehicles will oftentimes use their bulk to shield infantry forces from small arms fire, and good crews can even use their vehicle to provide moving cover to infantry elements. This is discussed in more detail later in the "Combined Arms" section. For now, here are some basic guidelines you can use when using vehicles as cover. A rifleman takes aim over the armored hood of an M240 HMMWV. Get as far back as the situation allows. ArmA2 vehicles have a nasty tendency of exploding when heavily damaged, and you don't want this to take you out as well. The further the enemy is from you, the further back you can safely get from the vehicle. If they're close, you may have to tuck in pretty tightly and may just have to accept the risks that that brings. Wheels act as good cover. Use them whenever possible. Depending on the elevation of the enemy relative to you, lying anywhere but behind the wheels may leave you vulnerable to their fire. Note also that ricochets in ArmA2 can complicate this process. In short, get behind a wheel or consider a hasty move to better cover. This rifleman has taken cover behind the HMMWV's wheel, exposing as little of himself to the enemy as possible. A good armored vehicle crew can use their vehicle to provide moving cover to infantry elements. This can be useful when approaching an enemy position from a direction that provides little natural cover or concealment. The primary thing to remember in such a situation is that the infantry should avoid bunching up behind the vehicle, as that can result in a number of less-than-desirable results like "getting pancaked when the vehicle has to back up urgently" and "being blown to kibbles by the vehicle exploding". Desperate times call for desperate measures. If things have really gone to hell, keep in mind that the bodies of the fallen - friend or foe - can provide life-saving protection from enemy fire. If your team has been chewed apart by an ambush and you can't possibly run for cover without getting mowed down, try hunkering down behind a dead teammate (or enemy) and using his body as cover while you return fire on the enemy. It's not pretty, but it can be the difference between winning the fight and joining the dead. Rules of Engagement (ROE) are the guidelines leaders issue to govern the employment of their troops' personal weapons. For our purposes, we have three ROE states. One of them - "Weapons Tight" - is very rarely used. More commonly you will get either a "Hold" or "Free" state, and common sense is liberally applied to both to ensure ideal results. These are very important to know, as the 'basic ShackTac rifleman' must know when to use his weapon, and not just how. Note that in some missions, specific buildings, vehicles, or objects may need to be captured intact. In these cases, a leader will issue ROE that account for this - for example, he might tell all players to not fire at a given truck, and carefully control any fire at enemies near that truck. In general practice, the definitions for the common ROEs are as follows. Only engage if there is an imminent threat to you or a fellow team member, but to try not to continue engaging unless necessary. If an element comes under effective enemy fire, they are authorized to return fire in order to achieve fire superiority and suppress or eliminate the enemy. If it is not effective enemy fire, such as what might happen if the enemy attempted 'recon by fire', the element is expected to hold fire and wait for their leader to issue further commands. Only engage positively identified enemy targets and get clearance from your team leader before firing the initial shots of a contact. This ROE is used when civilian contact is likely. "Positive identification" often comes from uniform, presence of a weapon, and firing in the direction of friendly forces. Note that "Weapons Tight" is very rarely issued. Free to engage anything that you have reasonable certainty is a hostile target. Of course, call your contacts before you start shooting, and use good judgment as to when to start firing. Though it sounds a bit silly, one excellent way to prevent negligent discharges (aka: the act of firing your weapon without intending to) is to keep your "trigger finger" off of the "trigger". In gaming terms, this means that you must simply rest the finger you use to fire onto the middle mouse button, as opposed to the firing button, when not actively engaged in combat. The failure to do this in the past has resulted in a variety of easily preventable mishaps, ranging from spoiling an ambush to giving away a stealthy approach, as well as several friendly-fire incidents. Pulling a trigger - or rather, clicking the mouse button - is easy. Anyone can do that. Anyone can make bang-bang noises and throw bullets downrange haphazardly. The part that matters, though - the marksmanship with which those rounds are delivered - takes some knowledge, practice, and skill to hone and maintain. Basic marksmanship is a skill that we encourage all players to spend a lot of range time practicing. The process starts with learning how it all works, which we'll go into now. Once fired, a bullet follows a ballistic arc determined by gravity, air resistance, bullet design, etc. Since the muzzle sits below the sights, the weapon's barrel tends to be angled up ever so slightly - this, in turn, causes the bullet to cross the "point of aim" (where the sights are pointing) twice. Once is at close range - less than 50 meters from the weapon, after which the bullet will be slightly above the point-of-aim - while the other happens at what is called the "zero range", which is the range a weapon's sights are calibrated for. After that, the bullet will start to 'drop' below the point of aim. Knowing where to expect the bullet to be at any point along the trajectory helps you to compensate via "offset aiming" for targets that are at ranges other than what your weapon was zeroed for. You can see this basic concept illustrated below. 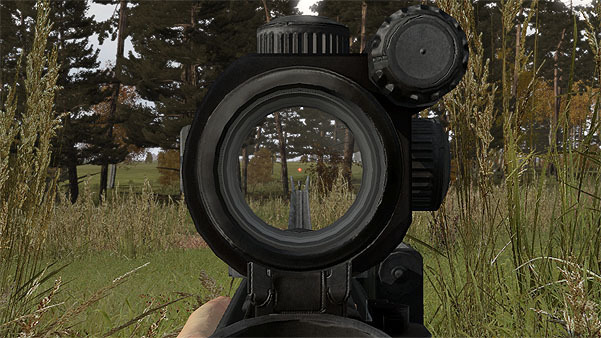 A "sight picture" refers to the way the front sight, crosshair, or reflex dot is oriented relative to the target being engaged. The typical sight picture you want to achieve is that of the "center mass hold", which is where the sight rests on the upper chest of the enemy, or the center of their visible mass. This is intended to give you the best possible chance of hitting them - if they are further away than you thought, and your bullet drops more than you were expecting, the shot should still land on their body. The same can be said for people who are closer than you realized. With a good "center mass hold", you can expect to reliably hit standing targets out to 300-400 meters. The smaller the target, the more likely that you'll be forced to use the 'offset aiming' technique to score hits - this is simply the process of aiming over your target if you're shooting low, or to the side if the round is landing beside them. An upper-chest center-of-mass hold at close range. This is an ideal shot, and will result in a fatality. One other thing to remember is that the origin of the bullet will be from the actual weapon muzzle, and not the center of the screen as in some games. Because of this, you have to keep in mind that your weapon sights are a few inches above the rifle bore. If you do not take this into account, you will occasionally find instances where you're shooting into the ground (or an obstacle) even though your sights give you the impression that you have a clear line of fire. In ArmA2, several things influence the accuracy of your fire. The more elements you have in your favor, the better your accuracy will be. The specific factors are as follows. Stance. You will be more accurate the more stable your stance is. You are most accurate when prone, less accurate when crouched, and least accurate when standing. Stamina. If you're exhausted from sprinting all over the place, your sights will drift and jostle around until you've recovered, making accuracy difficult. Breath control. If you use breath control properly, you'll be able to shoot more accurately than someone who doesn't. Ensure that you have this feature bound to a readily accessible key, as it will come in handy more than a few times during every mission. Holding your breath for too long will cause your stability to degrade, so make sure you only use this when you're 90% of the way ready to take your shot. Wounds. If you've taken damage, your ability to hold a rifle stable will be compromised. The only thing you can do to correct this is to find a medic and be healed. Weapon Support. In , you can rest your weapon upon suitable surfaces - sandbags, windowsills, walls, the hoods of vehicles, and more. 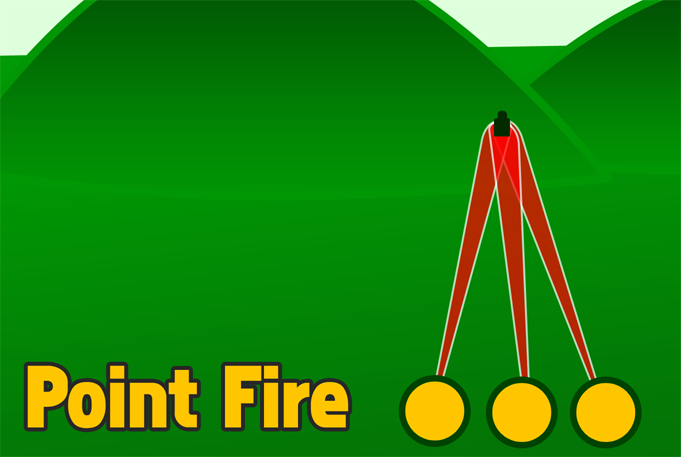 This allows you to take a higher stance than prone, without being penalized in accuracy. Bear in mind that supporting your weapon on an object will only work if you stay in that spot while 'deployed'. Being able to engage a moving target at range and land hits in the first few shots is a skill that takes time to master. The payoff - being able to land shots on enemy that think they're moving too fast to be tracked - is definitely worth the effort invested in mastering the skill. The amount of lead needed to hit a moving target varies with the muzzle velocity of the weapon used, as well as the distance to the target and their movement relative to you. A shallow lead on a sprinting enemy at close range. The round struck this guy on the upper-left of his torso, meaning that the lead was a bit further than ideal. Bear in mind that targets moving at shallow angles require less lead, while those running directly towards or away from you require no lead. At ranges out to around 300 yards you typically only need to lead the target by a few body widths, depending on the speed they're moving relative to you. If a target is coming directly towards or away from you, no lead is required. If they're moving at an angle to you, less lead is required. If they're sprinting perpendicular to you, you'll need to use a great deal of lead at extended ranges, and will be best off with massing fire with other friendly units to take the enemy down. 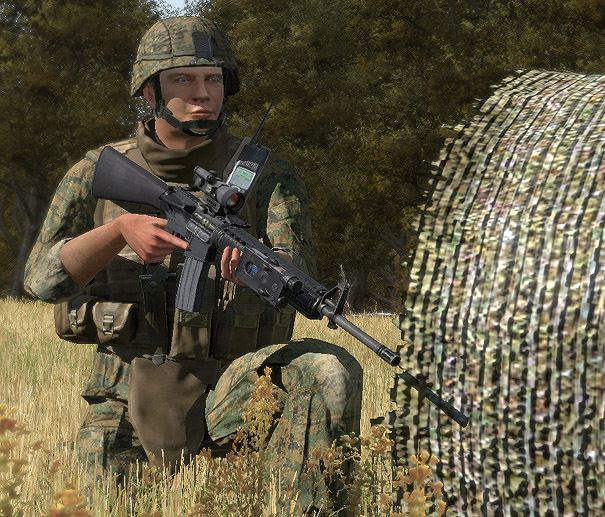 Terminal ballistics in ArmA2 consist of a few different aspects - penetration, ricochets, wounding, and, in , secondary fragmentation. First off, ArmA2 models bullet penetration based on the caliber and speed that a bullet impacts at. Because of this, you will see heavy machineguns punching through walls easily, while rifles will have lesser penetration, and submachineguns and pistols will be weakest of all. It is important to remember that just because an enemy has ducked behind a wall, they are not necessarily safe. If you have a suitable weapon, you may be able to negate their cover through sheer firepower. Note that if a bullet passes through a structure, it will deal less damage to the structure, due to not having expended all energy on it. Ricochets are another aspect of A2's terminal ballistics model. When a round strikes something at a suitable angle, it will have a chance of ricocheting away. These ricochets can pose a danger to anyone in their path, though they are generally less lethal than their full-speed counterparts. Note that high-explosive cannon rounds are the exception to this - when they hit, regardless of their speed, they'll explode and do great damage to anything nearby. Finally terminal ballistics on human targets are based on where exactly the person is hit. Leg and arm shots do the least damage, while torso shots do a lot of damage, and most head shots are immediately fatal. Note that ACE2 introduces 'secondary fragmentation' into the terminal ballistics model - if a bullet, cannon shell, or rocket hits a solid wall and penetrates it, it can cause fragments of the wall to project out of the far side of the wall in a cone-shaped spray, wounding anyone unfortunate enough to be in the way. Tracers generally cannot be seen if they're coming straight at you in ArmA2. You will see them passing you, or going towards friendlies nearby, but if they're aimed right at you, you probably won't see them at all. Some weapons, like the M249 SAW, fire what are known as "dim tracers". These tracers are not visible in daylight, and can only be seen at night with the aid of nightvision goggles. These are excellent to use against enemies that do not have nightvision equipment. Most weapons that fire tracers will have a mix of 4 bullets followed by 1 tracer. So, for every tracer you see, there are four other bullets you don't. Many weapons will have several tracers in a row at the end of the magazine or belt of ammunition, to indicate that the shooter is about to run out of ammo on that mag or belt. When you see a string of tracers come out one-after-the-other, that's a good indication that you're about to need to reload. 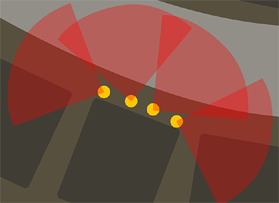 Tracers burn out after a specific distance. It is very important that machinegunners are aware of this fact! Just because the tracer extinguishes, does not necessarily mean that the bullet impacted the ground at that distance. Tracers can burn out anywhere from 700 to 1000 meters or more from the weapon muzzle. When firing at distant targets, you may need to use an assistant to spot the fall of the rounds (indicated by dust or dirt being kicked up in the impact area), and not simply rely on where the tracers extinguish. 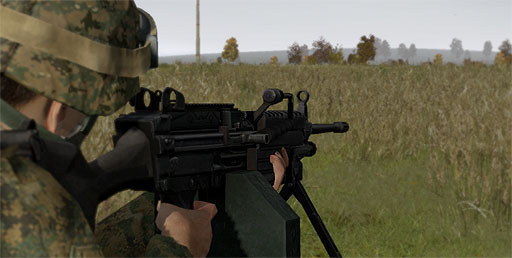 ArmA2 boasts a huge variety of weapons, with a diverse set of characteristics. Being familiar with all of the basic themes of sight types, weapon classes, etc, is critical to being able to employ the weapons effectively in combat. We'll start this section by discussing weapon sights. 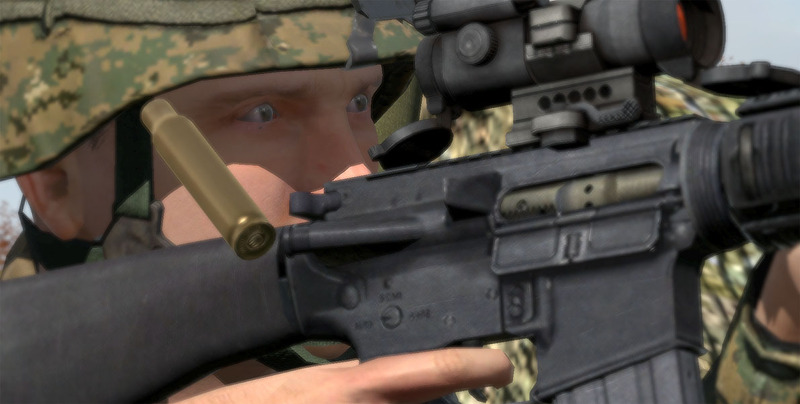 There are a variety of sight types that you'll find on your weapons in ArmA2. The most common ones are listed and described below. While the modern infantryman is more and more frequently moving away from ironsights where possible, they represent a fundamental aspect of marksmanship that every shooter should be comfortable and familiar with. Iron sights are simply non-magnified metallic sights that give you a reference on where your bullet will hit at the calibrated - or "zeroed" - range. There's nothing fancy about them at all. The main drawback to ironsights is that they obstruct your view - you cannot easily see impacts that fall below the 'front sight' of the sight at distances, for example. Given the choice, a rifleman will generally find himself served better by a reflex optic - such as an Aimpoint, EOTech, or Russian Kobra - than by ironsights. While there are aspects of them that are not modeled in ArmA2 (such as the ability to shoot with 'both eyes open', and the fact that they more or less remove the need for sight alignment), they do still show a benefit over ironsights. This mainly comes in the form of the increased visibility you get when using them - the clear glass and "floating" reticule give you good visibility on whatever you're aiming at and allow you to easily adjust fire based upon the impact dust kicked up by your rounds. Reflex optics are superb for MOUT and CQB environments, as well as combat out to 400 meters. They can still deliver beyond that, of course, but they're best at or below 400 meters. When it's necessary to reach out and touch someone with violence at range, magnified optics are the way to go. Magnified optics - or 'scopes' - span a variety of styles. There are fixed- and adjustable-zoom, with a wide range of magnification intensities. Sniper rifles understandably have very high magnification powers, whereas scopes intended for the rifleman tend to be lower in magnification, or include a range of magnification options. 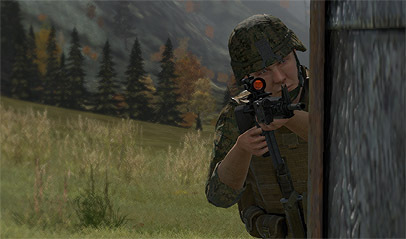 The main drawback of scoped weapons is that they tend to become more difficult to employ in closer battles - such as those found in an urban environment in which units must clear buildings, houses, et cetera. When put at a distance, however, they shine quite brightly and are powerful tools. 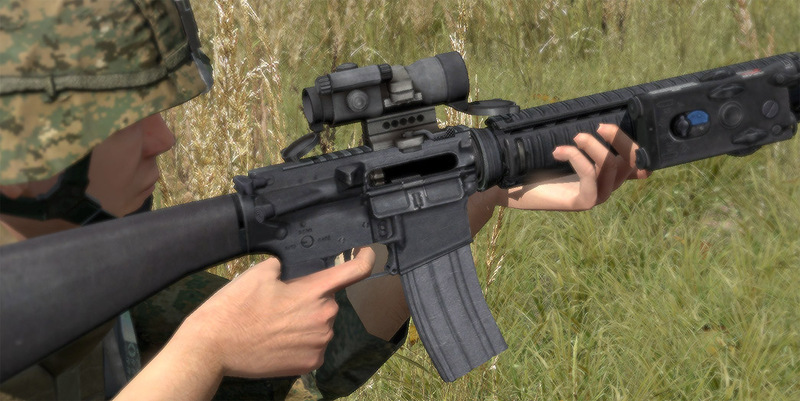 Many weapons with magnified optics come with some sort of 'backup' sight that can be switched to when in close proximity to the enemy. While you will not find this featured in ArmA2 by default, the mod will be bringing the functionality over to the game in short order. Such backup sights help to give a scoped rifle user more of a fighting chance when things get up close and personal with the enemy. You don't always have the luxury of dictating how far away you'll be fighting from, and these backup sights let you adapt to less-than-ideal circumstances. Next up we'll look at the different types of weapons available, and what their various specialties and roles are. Pistols are hand-held weapons that area intended to be used at short range. The maximum distance you should expect to use one at is about 50 meters - while firing beyond that is possible, the effects of the rounds will diminish significantly. They don't have much punch to begin with, and they lose velocity very quickly. Our standard issue pistol is the M9, a 9mm pistol with a fifteen round magazine. MARSOC and SF units will often find themselves carrying a .45cal 1911 instead. Shotguns are similar to pistols in their range, but far exceed them in their damage-dealing abilities. Shotguns are exclusively meant for close-quarters engagements. They generally have a very limited magazine capacity, even compared to pistols, but make up for it with how much of a punch they pack. 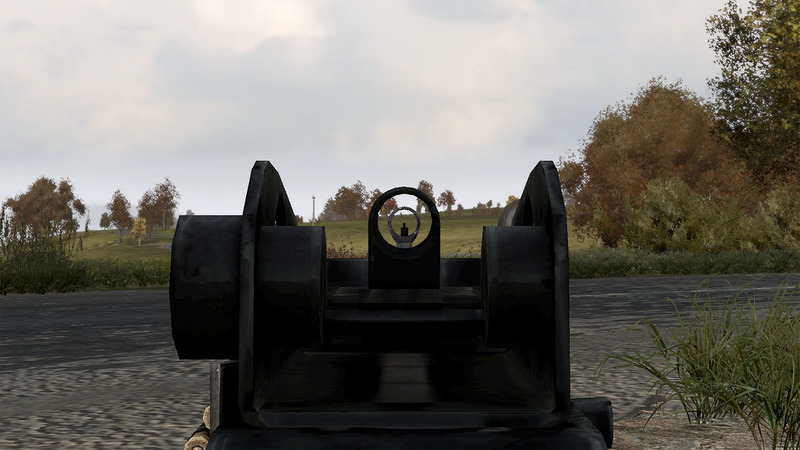 In ArmA2, the default shotguns are loaded to fire solid slug ammunition, instead of the 'buckshot' that is typically associated with shotguns. These are the next step up from pistols - basically, imagine a large pistol with a stock, a larger magazine, that can shoot a bit further and has burst or full-auto modes, combined with very low recoil. These generally lose their usefulness at around 100 meters. They are primarily CQB - close quarters battle - weapons. When equipped with suppressors, they can be very stealthy weapons to employ at night. The mainstay of the infantry is the rifle. These come in a wide variety of styles and calibers, with an equally large variety of sighting systems and attachments. Depending on the type of rifle, you can expect to shoot with accuracy out to ranges of at least 300 meters, and typically out to 500 or 600 meters. They pack a punch that is considerably higher than submachineguns or pistols, and generally carry around 20 to 30 rounds of ammunition in each magazine. Rifles can come in all shapes and sizes, from close-quarters short-barreled rifles, up to much larger sniper rifles that can reach out and hit targets at over a thousand meters. This is the primary type of weapon you will utilize in combat. Machineguns are the next step up from the battle rifle. These have larger magazines - typically being belt-fed - and can maintain very high rates of fire. They are larger and heavier than rifles, but make up for it in their sheer lethality. A single machinegun can easily put out as much firepower as several well-equipped riflemen. Machineguns play a key role in the suppression of the enemy, allowing the riflemen to maneuver. Machineguns come in three main types - light, medium, and heavy. Light machineguns like the M-249 Squad Automatic Weapon (SAW) tend to fire light rifle rounds - such as 5.56x45mm, the round used in the M16 series of rifles. Medium machineguns use heavier rounds, such as the 7.62x51 that is fired by the M-240 "Golf". Heavy machineguns are generally crew-served or vehicle-mounted and sling the upper range of rifle calibers - such as the .50 caliber (meaning: the bullet is half an inch, or 12.7mm, thick!) BMG round employed by the M2 Browning HMG. Grenades come in a few varieties - you have your basic fragmentation grenades, smoke grenades, incindiary grenades, and stun grenades such as flashbangs. All are thrown by hand and have a correspondingly short range. When a grenade needs to have a bit more 'oomph' to it's throw distance, grenade launchers are used. Grenade launchers come in two basic forms at the infantry level - ones that can be attached to a rifle, and those that are standalone. The former is the type that our fireteam leaders have; the latter is what you will see a dedicated grenadier using. Grenade launchers, depending on their type and ammunition, can give the infantry an indirect fire capability out to anywhere from 400 to 800 meters. While their explosive power is relatively weak compared to other explosive weapons, they can be quite deadly and useful when employed in the proper manner. Anti-tank weapons round out the typical infantry weapon set. Some, like the light AT-4, are very simple - aim and shoot. Others have features to enhance your accuracy - the SMAW has a spotting rifle to help your first-round accuracy, for example. Some have sophisticated guidance systems and fire-and-forget technology to allow you to more accurately engage and defeat enemy armor - the Javelin, for instance. AT weapons are generally the only reliable weapons infantry has that can defeat armored targets. Anti-aircraft weapons are guided missile systems like the Stinger. They generally have a single shot and use infrared sensors to seek out and kill aerial targets. They can be effective against both helicopters and jets as long as they're employed properly. A "crew-served" is a weapon type that requires more than one person to carry it and employ it on the battlefield. For our purposes, this most often refers to the heavy crew-served weapons such as the M2, Mk-19, or portable TOW launcher systems. Such weapons have a main gun component, a tripod, and heavy cases of ammo. Several people must work together to transport them, set them up, and keep them supplied with ammo. The benefit is that they have tremendous power compared to "individual" weapons, and are a major force multiplier when employed correctly. Always strive to reload behind cover or concealment. At the very least take a knee to reduce your profile. Thanks to A2 allowing a player to move while reloading, you can easily start a reload while moving towards cover or concealment. Know when to call out a reload or that you're out of ammo. There are certain circumstances in which a player will want to verbally call out that they're reloading their weapon. This is done based upon how significant it is - if you are just a rifleman and there's a squad-sized firefight happening, you will not need to call out that you're reloading, because your weapon being down for only a few seconds will not have an influence on the fight. However, if you are providing a great deal of the firepower of a fight and have a weapon that takes a significant amount of time to reload (for instance, as the machinegunner for a fireteam that is working on its own, or as something like a Mk-19 gunner) or are a critical element (ie anti-tank or crew-served), you will probably want to give the status of your weapon so that friendly units can react accordingly. Let common sense dictate when or if you verbalize that a reload is imminent or happening. When calling out a reload, simply state your weapon type, what you're doing, and anything your teammates should do to react to it. i.e. "Mark-19 reloading, give me some cover". Using the "Direct Speaking" VON will be the way to go in most situations. When the reload is complete, simply state "(weaponType/playerName) up!". 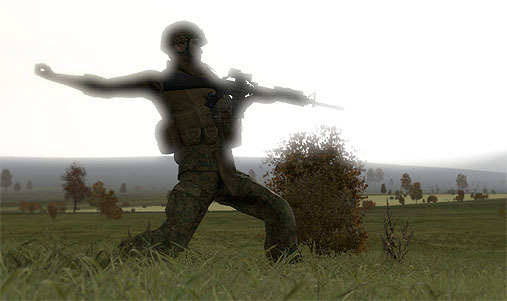 There are two main types of reloads in ArmA2 - the tactical reload, and the dry reload. Knowing the use of each will help you to make the right reload decisions during your fighting. Note that in you do not have a 'bullet counter' on your HUD - to check your magazine, you use the 'magcheck' key, which will give you a rough idea of how many rounds are remaining in your current magazine. A tactical reload is a reload done during a lull in the action to replace a partially-full magazine with a fresh one. You should check your magazine before doing anything dangerous (ie CQB, assaulting an objective, etc) and do a tactical reload if you have less than a full magazine, or any doubt as to the capacity of your current mag. The worst sound in combat is hearing a click when you want to hear a bang. A rifle jam is a stoppage which results in the weapon not firing a round when the trigger is pulled. This can happen for a variety of reasons, none of which are modeled in any significant capacity in ArmA2 or . Instead, they are arbitrated a bit - classified as 'typical' and 'serious'. A typical jam requires immediate action, in the form of the 'reload' key, to fix. This takes a moment and results in a mechanical sound being heard, followed by the weapon coming back into operation. A more serious jam will not be fixed by that, however, and will require a full reload sequence to bring the weapon back into operation. You will be notified by a message on-screen if that is the case. In , if your weapon jams in a serious situation (ie: in CQB), loudly exclaim "MISFIRE, MISFIRE!" or "JAM, JAM!" on direct-speaking VON so that your teammates will know to cover you while you correct the stoppage. Depending on where you are and where the enemy is, you may want to take a knee while clearing a stoppage so that a teammate can fire over you to cover you. It should come as some small comfort to know that most weapons are not prone to jamming with any regularity. However, if it happens at a bad time, and a player is not ready to deal with it, it can cost them their virtual life. It is important to stay aware of the number of full and partially-full magazines you have at all times. Failure to do this can result in 'going dry' in the middle of a fight without warning, which can easily result in severe bodily harm, death, or even capture. When doing a tactical reload, the magazine that is taken from the weapon is retained for later usage. When reloading, the character always grabs the magazine with the most rounds in it, leaving the least-full magazines for usage later on. It is important to maintain awareness of the number of partial magazines remaining - looking at your inventory and seeing five magazines doesn't tell you what the ammo count of each is, and one mag of 25 grouped with four magazines with less than ten rounds each is a dangerously low ammo situation. To help prevent this from getting you killed, try to avoid reloading with only a few bullets in a magazine, unless the urgency of the situation demands it. Having a fresh magazine in your inventory is far better than having several quarter-full mags occupying inventory space. As a general rule of thumb, three magazines are the bare minimum needed for an individual rifleman to fight their way to resupply, or to safely withdraw from a firefight. 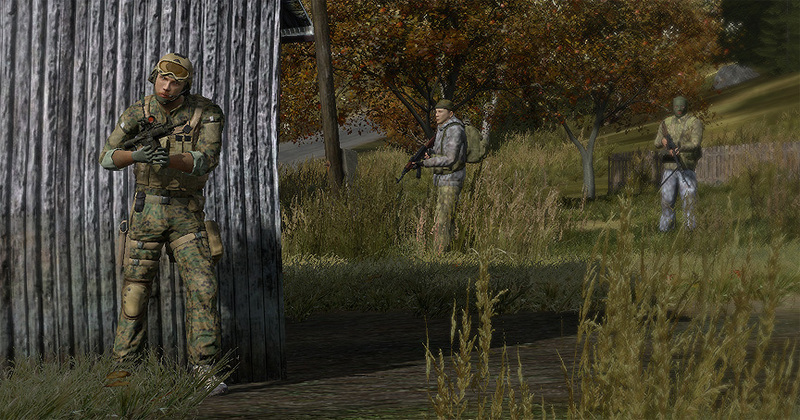 Once down to only three magazines (of which it is likely that some of them are not fully-loaded), a player should be working towards getting resupply with the help of their team leader. In , if your character is sporting a rucksack, the best advice is to maintain a reserve of three or four magazines stowed safely away in your ruck. Use them as an 'emergency stash' that you only tap into if the situation is getting desperate. Since your character will not automatically reload from their ruck, this will ensure that even if you shoot through every available magazine in your inventory, you will still have your 'reserve' stashed and accessible in your rucksack. In the event that you run completely out of ammo and cannot resupply, enemy weapons can be used in a pinch. The only rule here is that you need to notify your teammates that you're using an enemy weapon - if not, friendly fire can happen very quickly, to your dismay. Try to avoid doing this whenever possible, as it can lead to a lot of confusion and slow down friendly reactions to contact, make players doubt their targets more often, and generally fog things up. 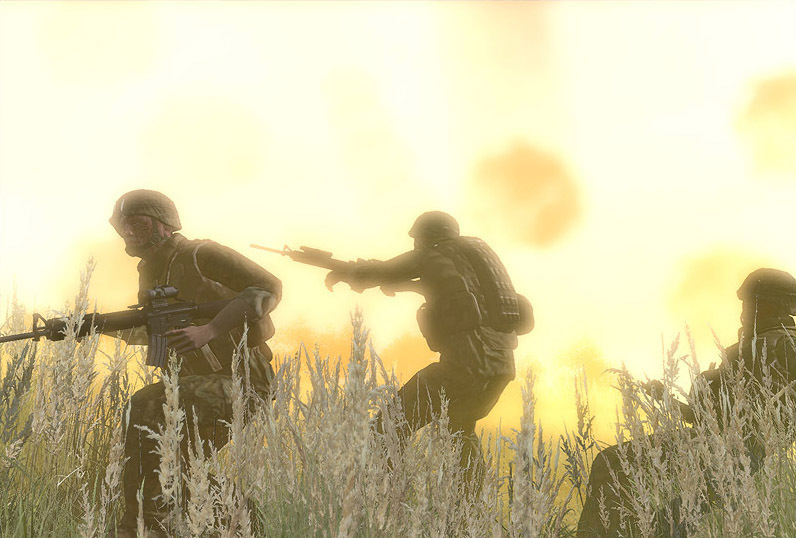 There are several distinct types of fire that can be utilized in ArmA2. We'll cover most of them here so that everyone is familiar with the terminology and the principles behind them. The one that you will hear most frequently as an infantryman is "area fire", but the rest are also useful and good to know. This is the most basic type of fire. In this, you see the enemy clearly enough to be able to aim at them directly and fire on them. 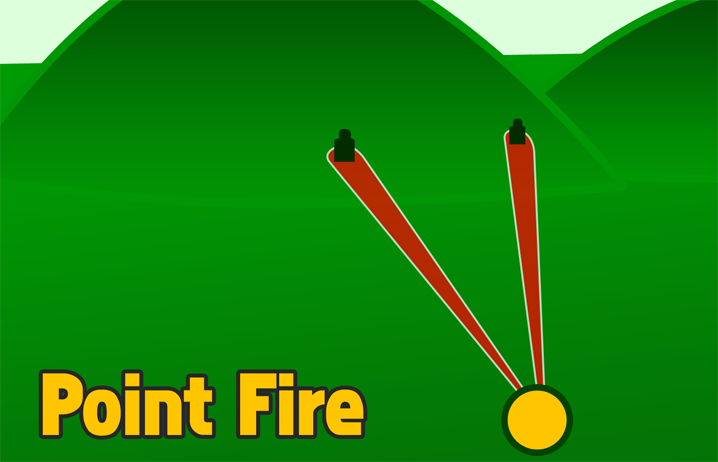 The effectiveness of point fire depends on the sights, accuracy, and killing power of the weapon being used. Point fire is most effectively delivered at a deliberate pace, with each shot being aimed. The tactical situation may require a more rapid engagement method, however. When an element is using point fire, it's typically done against a very visible target or group of targets that can be engaged with precision. An enemy squad ambushed in the open, for instance, would be an example of a situation where element-level point fire would be employed. A soft-skinned vehicle such as a UAZ would be another good example. This technique places a volume of fire on a specific area instead of a specific individual target. It can be used to place fire on enemy units that are obscured, massed, or at such a range that point fire becomes slow and ineffective to use. This is the act of putting a high volume of fire on an enemy position to prevent them from being able to return effective fire. Note that suppression is only effective if you can make the enemy believe that popping up to return fire is going to result in them being hit or killed. You don't have to actually hit them, but you must make them think that you can and might if they don't take cover. Suppression can be used to "fix" an enemy force while another element moves around to their flank to catch them in their unprotected or otherwise vulnerable side. Suppressive fire is typically done at a very rapid rate to begin with, which achieves fire superiority. Once fire superiority has been achieved, the suppressing element can slow the pace of their fire to facilitate ammo management, provided that they aim and pace their shots in a fashion that maintains effective suppression of the enemy. 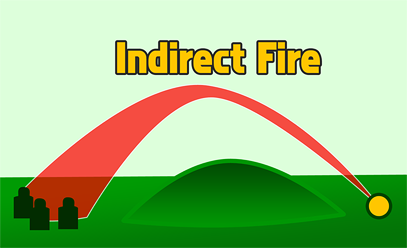 Indirect fire (also sometimes referred to as "IDF" or "aye-dee-eff") is simply fire that is placed on a target or location that follows a steeply arced trajectory, allowing it to be placed into areas that are out of direct view of the gunner. Indirect fire can be used to cover "dead space" that is out of view of any direct-fire assets (ie machineguns, rifles, etc). At the platoon level, indirect fire typically comes from grenade-launching weapons like the Mk-19 Grenade Machinegun or the M203 grenade launcher. Mortars and artillery are the 'big brothers' of the M203 and Mk19 when it comes to indirect fire. One great aspect of indirect fire is that the enemy has a much harder time returning fire when it is employed from out of direct sight - the source is more difficult to locate, and even after location the enemy cannot use direct-fire weapons and must rely either on their own indirect assets or movement towards the source of the fire. Recon by fire can be used in a defensive position if one suspects that the enemy is lurking in a given nearby area. Firing into the area may cause them to think that they have been spotted, and in turn begin firing back, exposing their true positions. This diagram should say it all. Just to be safe, though, we'll cover it in more detail. 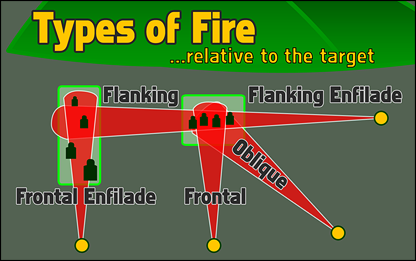 Enfilade fire is fire that coincides with the long axis of the target. Flanking fire is hitting a target in the side. Oblique fire is hitting a target from an angle. Frontal fire is hitting a target from - you guessed it - the front. 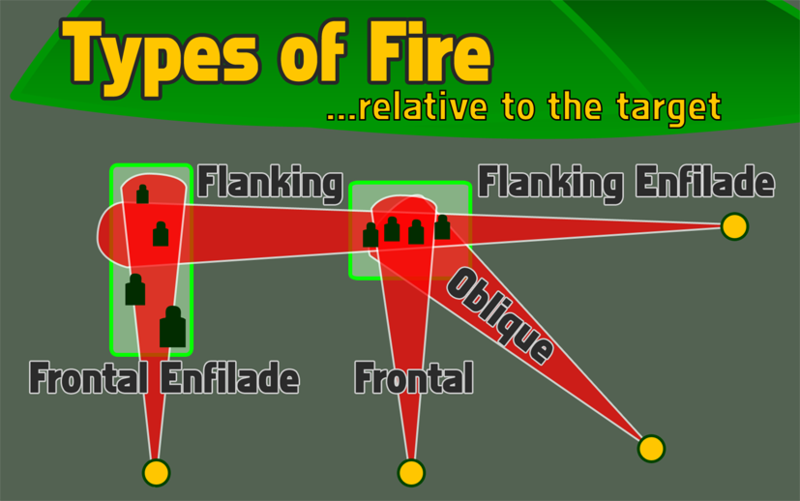 Flanking, oblique, and frontal fire can become enfilade fire simply based upon the orientation of the enemy formation relative to the shooter's position. Dead space is defined as "an area within the range of a weapon that cannot be covered by fire due to intervening obstacles, the contour of the ground, or the trajectory of the weapon" (Close Combat Marine Workbook). Knowing how you can be wounded, and what the results of different wounds are, helps a player to recognize the severity of his wounds and react appropriately. We'll now take a look at the three main damage systems in A2 - the default one, the alternate injury simulation, and, finally, the method. By default, ArmA2 has two special damage effects that can happen when you are wounded. Inability to walk. If shot badly in the legs, you may be forced to crawl until a medic can tend to you. Decreased aim stability. Wounds make it harder to hold your weapon stable, which causes your sights to drift around and jitter more. Taking a lower stance can help to compensate this to a degree. Apart from that, there's not much else to the vanilla damage system. Locational damage exists, of course - being shot in the head will kill you more times than not. Shots to the chest do a great deal of damage. Shots to the legs or arms do less, and tend to give you the above-listed effects. The real depth of wounding comes with either the Alternate Injury Simulation (AIS), described next, or through the mod. 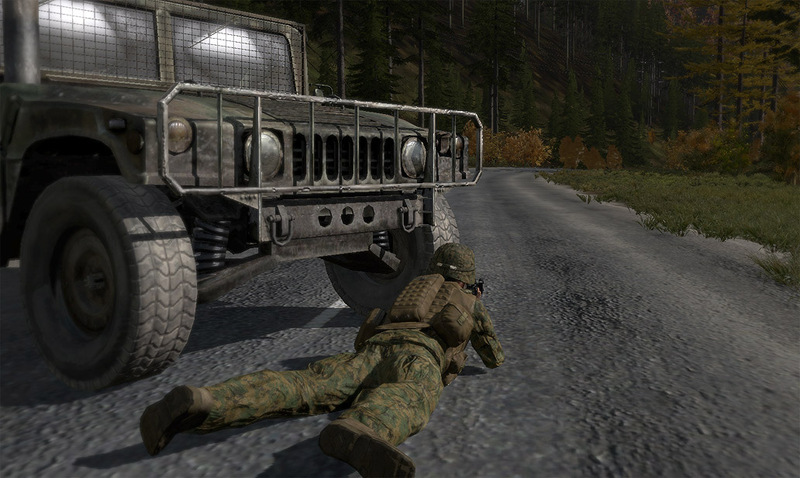 Alternate Injury Simulation (AIS) is an ArmA2 module that introduces more robust damage modeling to A2. When combined with the first-aid and battlefield clearance systems, it gives you the ability to perform first-aid to teammates, carry the wounded or dead, become incapacitated, go into an 'agony' wounded state, and more. The main features of AIS and the First Aid module are as follows. Agony. When in a state of agony, a character is forced to stay prone and move at a slow crawl. They can fire the current magazine they have loaded in their weapon, but cannot reload once it is empty. Medical attention is needed to restore them to a capable state. Incapacitation. When incapacitated, a character lays on the ground and writhes around in pain. They are unable to move and must be tended by a medic to recover. If left in this state for too long, the character will eventually die. First aid. When a character is incapacitated or in agony, teammates will have the possibility of providing first aid. The amount of time and the effects of the aid depend heavily on whether the person who is providing aid is a medic or not. The AIS/First Aid system is a nice step-up from the vanilla damage system and has some interesting aspects to it. ACE2, however, takes this even further - as described next. ACE2's robust damage modeling allows for a great gameplay dynamic to develop between players, their teammates, and medics. This writeup of the system is based off of the ACE1 method, which is bound to change as the mod is updated and overhauled for ArmA2. This will serve as a base of knowledge until more is reavealed about the final systems. Pain. Pain comes from taking damage, and is a temporary effect of wounds. Pain by itself can happen from explosive concussion or light wounds that do not bleed. Pain also accompanies heavier wounds as well, though it is the least serious medical symptom to treat. Pain's countermeasure is morphine, applied by the squad or platoon medic. Bleeding. Bleeding occurs when significant damage has been taken, such as that from a bullet or shrapnel. Bleeding comes in a variety of intensities, depending on the severity of the wound. Light bleeding can be left untended for a bit, while heavier bleeding must be treated rapidly before further complications arise (such as incapacitation/unconsciousness, or cardiac arrest). Bandages, carried in each infantryman's gear, are used to treat bleeding. Cardiac arrest. In the event that a player has taken a great deal of damage, or has bled out significantly, their heart may stop beating. If this occurs, epinephrine will need to be injected immediately to stimulate their heart and bring them back to the land of the living. Epinephrine is carried in limited quantities by squad and platoon medics. Once a player's heart has stopped, they may have a minute left to live, though it is often shorter. Immediate aid from a medic is critical to their survival. Incapacitation or unconsciousness. Shock from a heavy wound can result in a player being knocked down and incapacitated or rendered unconsciousness. Morphine can be used to help counter this to a degree, though sometimes a player will not immediately respond to treatment. An unconscious person must be monitored to ensure that they do not go into cardiac arrest. It is important that players are familiar with what they need to do if they get wounded. Being shot and confused as to what happens next can easily lead to you being shot again, bleeding to death, or generally meeting some kind of unpleasant fate. There are two fundamental things that can happen upon taking damage in combat. You will either maintain consciousness, as in ArmA2 by default, or in you will have the possibility of being knocked unconscious or stunned, possibly resulting in you blinking in and out of consciousness. The following guidelines apply, based on which occurs. Do a hasty diagnosis. Are you still combat effective? If yes, fight! Minor wounds can be treated once the immediate threat is dealt with (at which point you can continue on to the next step and beyond). If it's more serious and you cannot fight, proceed to the next step immediately. Move to cover or concealment. This will protect or conceal you from fire temporarily, though it will not get you off of the front line. Do a full diagnosis . How bad is it? If you're bleeding, try to identify how severe the wound is and how urgently you'll need treatment. Heavy bleeding combined with frequent black outs will require immediate medical assistance, whereas light bleeding may give you a bit more time to get yourself treated. If you need a medic, call out that you are wounded over Teamspeak or with local in-game Voice-Over-Net (VON). Ensure that you state your name so that the medic knows who to look for. If necessary, mark your position on the map so that the medic can more easily find you. Speaking in "Direct Speaking" VON gives the medic an additional aid, as he can 'home in' on your calls and find you easier, especially in difficult terrain. Calling out also lets your buddy team member know that you're in trouble, and allows him to maneuver and fire to support you as you seek aid. "This is Dslyecxi, I'm hit bad, pulling back for a medic... marking as "dsl medic" on map... (brief pause)... marked." Coordinate with the medic as necessary. He may need you to move in a specific direction or meet him halfway. Use bandages if the situation warrants . If you are lightly bleeding and have bandages, ensure that you are in cover or concealment and attempt to use them to address your wound. They may or may not work, depending on the severity of it, and it may take a few tries to stop the bleeding. Once you have stopped the bleeding, you'll be stabilized, but the 'aim waver' and leg-loss (if hit in the legs) will persist until you can find an actual medic to heal at. Once you are in good condition, move back to your fireteam and resume combat. Ensure that your team leader and buddy team member know that you have returned to combat. Once unconscious, ShackTac uses 'honor system' rules that state that a player can no longer talk on Teamspeak. They are restricted to only talking when they can actually see - so, if blinking in and out of consciousness, they can only speak on direct VON when they can actually see something more than the black unconscious screen. Once consciousness or movement is regained, a player can move on to the above-listed steps to deal with their wounds, assuming that they haven't been taken care of already by friendly troops or medics. Dealing with your own wounds is only part of the picture. Being able to assess and treat teammates is a key skill to develop, one which allows the platoon to take care of its own wounded and get them the attention they need. We'll start off with the assessment phase, as well as the combat lifesaving steps. Whenever a player goes down, anyone near them must make a hasty decision as to how to react to it. The immediate reaction is intended to do two things - first, to suppress or kill the enemy that hit the downed player, and second, to identify the status of the downed player so that a decision about how to deal with them can quickly be made. There are two possible states that a downed player may be in, with different reactions for each. They are described next. 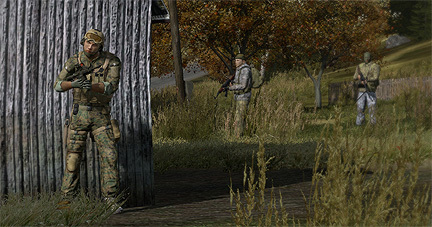 Several degrees of WIA status exist in ArmA2 and , corresponding to the severity of the wound, with effects as described above in the "Wound Effects" section. 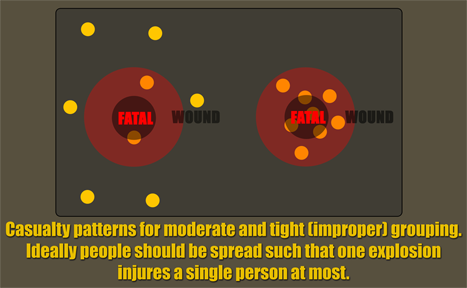 Some of them are non-life-threatening wounds, whereas others (particularly with 's damage model) can become fatal if left untreated. Generally, however, the non-life-threatening wounds tend to result in a mobile player that can take cover on their own. The more serious wounds (in ) will drop someone to the ground and require another player to tend to them to ensure their survival. If a player goes down, there are three basic ways to try to identify their status as a WIA. Visually. If you can see them, look at their wounds. If their head is torn open, you can almost always assume that they're KIA from head trauma. If they're bloody elsewhere, but their head looks reasonably ok, you should assume a WIA status and act accordingly. Audibly. Assuming that the player is conscious (which is certainly not always the case), you can call to them on direct-speaking VON to ask if they're ok. If they respond, they're WIA. If they don't respond, you can't be sure. Via examination. In , players can crouch near someone and use an "Examine" action menu option to check that person's status. Obviously this should not be done until the downed player's position is secure - either due to the enemy being killed, or him being dragged to safety. The examination will give a brief description of their status, listing whether they're bleeding, in pain, if their heart has stopped but they aren't dead yet, or if they're KIA. Assuming that the player is WIA, the next step is to secure them. This is most often done by having friendly elements provide suppression or killing fires at the enemy to cover someone dragging the wounded person into cover or concealment. It's important to use good verbal communication to express intent in this situation - if someone says "Cover me, I'll get him! ", this lets other people know that they should focus on providing suppressive fires and not worry about trying to rush out to the rescue themselves. Having multiple people rush out to try to tend to a WIA cuts down on the amount of fire being placed on the enemy, which makes it possible for the enemy to cause even more casualties. More about the dragging process follows in the "Moving the Wounded" section, below. Epinephrine. If the player's heart has stopped, "epi" can be used to restart it. This requires that the treating player has an epinephrine injection with them. Normal infantry do not, but medics do. 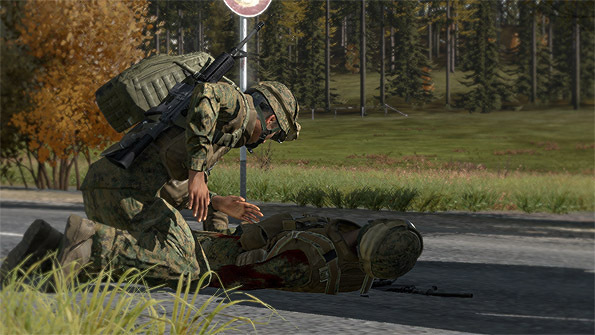 If the player's heart is stopped and no epi is available, the treating player must immediately call for a corpsman/medic and get them to the WIA person. Time is critically short and all urgency must be made to keep the WIA from dying. Bandages. Bleeding comes in several severities. Light bleeding can go untended for short periods, whereas heavier bleeding demands immediate attention. The process of bandaging remains the same for either, however. Almost all players have at least two bandages as part of their personal first aid kits. Morphine. Morphine is used to deal with pain caused by an injury. It is never a critical treatment, but can be used to help stabilize a player's aim and vision. Morphine syrettes are quickly applied, though only medics start off with them. After the immediate CLS steps have been administered, or if epinephrine is needed, the corpsman/medic is brought over (or the player fireman-carried to them) to provide additional stabilization and treatment. Bear in mind that in a multiple-casualty situation, players must rapidly triage the wounded to prioritize treatment. People needing epinephrine are dealt with first, then those who are bleeding heavily, and so on and so forth. It is important to confirm that a player is killed in action. Assuming that someone is dead from a given hit cannot be done - positive confirmation is a necessity, else you risk leaving behind an incapacitated player who could end up being captured by the enemy. Like with WIA players, verbal, audible, and examination methods can be used to determine the status of a KIA player. Examination will reveal that "This person is dead", at which point you will receive the ability to "Check dogtag" to confirm who the dead person is . Once the KIA state has been confirmed, it must be reported to the next-higher leadership element. If you are a fireteam member, you tell your fireteam leader that "So-and-so is dead". Fireteam leaders tell their squad leaders, and so on and so forth, when a lull in the action occurs and the tactical situation permits it. It is important that the fireteam leaders do not give 'running casualty reports' to the squad leaders unless asked, since the squad leader is busy directing his fireteams in the fight, and casualty reports can generally wait until the immediate danger has subsided. Fireteam leaders are expected to exercise good judgment in this, of course. Once the KIA has been reported up the chain of command, his buddy and team members will redistribute his gear, ammo, and weapon, ensuring that it is put towards continued use in the fight. In , the KIA's weapon, even if not needed, can be carried along thanks to the "sling" ability that the mod implements. This can prevent the enemy (in adversarial missions) from picking up a friendly weapon and using it to confuse friendly forces. 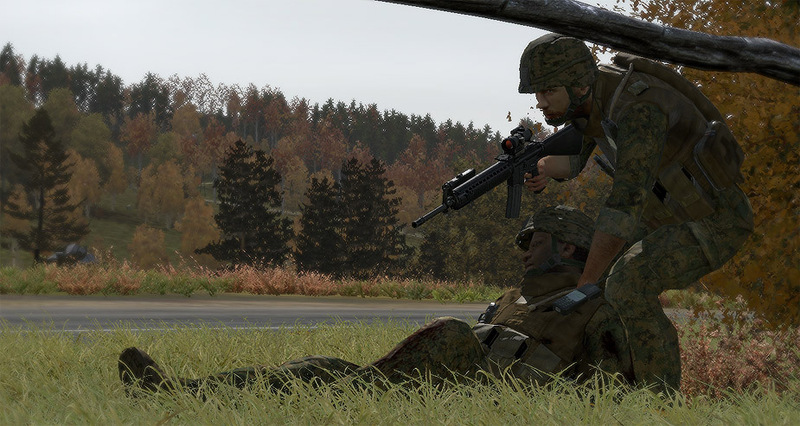 There are often times when a downed player needs to be moved from where he fell in order to facilitate medical treatment or prevent them from being hit again. There are two ways to do this - either via dragging, or via a "fireman's carry". It is very important to note that the best results are achieved when suppressive fire and smoke concealment are utilized to screen this sort of behavior. While it may not always be possible to put smoke out, a team member should always be available to fire suppression while another team member pulls the wounded to safety. Dragging is used to immediately move someone from a dangerous area at a moment's notice. Fireman's carry is used to move someone from a safe position to another position further away, at a faster pace. In addition to everything else listed above, there are some further common skills that players are expected to be proficient in. They are described below. There are a few things to say about the usage of grenades in A2. First off is that, as with all things, practice is very important to becoming good with grenades. A2 is fairly atypical as far as grenade usage goes, at least compared to your average FPS game. Learning the quirks is important if you'd like to avoid blowing yourself or a teammate up. Some guidelines for grenades follow. Grenades come in a variety of forms - be familiar with their uses. The main classifications are as follows. Fragmentation grenades. These are the type most frequently associated with the word 'grenade'. They're designed to kill the enemy through blast and shrapnel effects. Most are on a 4-5 second time delay fuse, while occasionally you will get types that detonate on impact. Flashbangs. These grenades are meant to disorient the enemy with a blinding flash of light and deafening bang. They are primarily employed in house-to-house fighting, and tend to have short fuses - 1.5-2 seconds is typical. Smoke grenades. They are not offensive grenades - rather, they're used to screen friendly movements, mask enemy positions, etc. More information about the tactical employment of smoke follows in a later page. Use the brevity words "Frag out!" when throwing a grenade. This lets your teammates know that a frag grenade is being thrown. Use the brevity word "Grenade!" when you see an enemy grenade coming at friendlies. This lets your teammates know that a hostile grenade is incoming, and they should take cover. In , you can select different throwing methods to tailor your throw to your needs. This includes a normal throw, more 'direct' throw, two types of rolls, and a slow throw. The slow throw is great for tossing a grenade over a fence and having it land close on the other side, while the rolling throws can be used to get a grenade safely into a doorway or through a window that you're standing next to. The 'direct' throw is good for tossing grenades into upper-story windows or otherwise trying to throw them precisely at a distance. Be careful when throwing grenades in an assault. You must ensure that there are no friendlies in the area you're throwing, and that none will run into it after you've thrown your grenades. The main map is accessed by pressing your "M" key by default. You must have a 'map' object in your inventory (most units start with this), and viewing this will cause your character to take a knee for the duration. From the map screen, you can access the player list, mission briefing, journal, and group/gear menus. The GPS is an optional piece of gear that may not always be present in a mission, particularly if you're acting as a less-equipped side such as insurgents or guerillas. However, when it is present, it can be a handy quick-reference tool. It allows a player to get a good glimpse of their immediate surroundings without having to worry about the loading time that can potentially accompany the full-screen map. 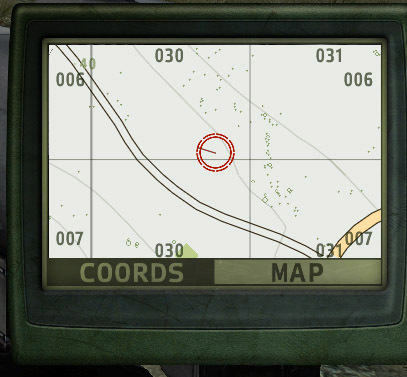 Note that ArmA2's GPS does not show enemy positions or friendly positions, just the map itself. 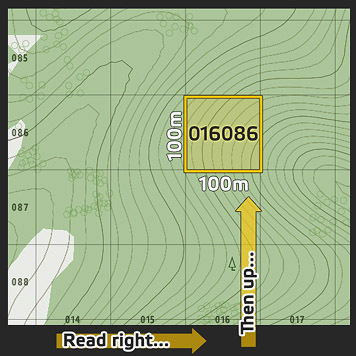 When in the full-screen map mode, the GPS will display the current 6-digit map grid in large text. Other benefits of the GPS come into play with vehicles. Since the zoom level of the GPS map is based upon movement speed, a jet can use the GPS to see a large overview of the terrain when flying at high speed. This is incredibly useful when navigating. The same effect can be taken advantage of in helos as well. Note that the GPS can be toggled either as a press-and-hold view, or a toggle-on/toggle-off version. Both can be extremely useful in aircraft and should not be overlooked. I recommend binding it so that pressing one key causes the normal version to come up, while using Ctrl + that same key will make the toggle version show up. Reading a map in ArmA2 is easy once you know the basics of it. The main thing to remember is that the grids must be read right, and then up. See the following screen for an illustration of how it works. Due to the fact that the map grid is composed entirely of numbers, it's important that you do not transpose them or else you're likely to send someone far, far away from where you needed them to go. Note that depending on the map zoom, you may see two, three, or even four numbers per horizontal/vertical grid. 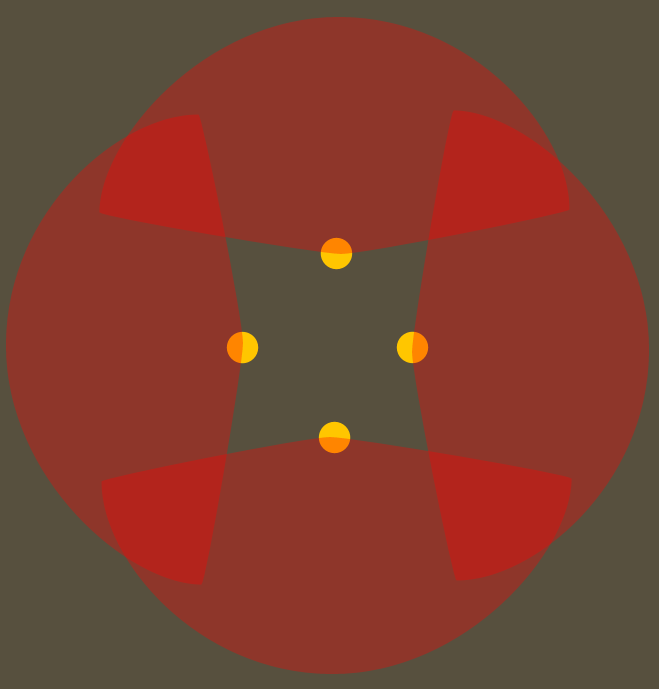 This reflects the precision of the coordinate - for example, a six-digit grid (3+3) defines a square that is 100m on a side. A Four-digit grid (2+2) defines a square that is one kilometer on a side. An eight digit grid is 10m on a side, while a ten digit grid is 1 meter on a side. ArmA2 introduces a grid scale that dynamically scales based upon how zoomed in or zoomed out you are. This scale shows both a linear distance guide and a contour interval guide. The contour interval means that each contour line represents x-meters of vertical space. Thus, if there are three contour lines of difference between your position and another position, you multiply that number times the contour scale to come up with the amount of vertical difference between the positions. Unfortunately, the contour interval guide is not displayed in A2 v1.01. When it returns, I'll update this section accordingly. Note also that the numbers scattered around the map indicate points of elevation. These occur either at the top of a protrusion (ie hill) or the bottom of a depression (ie valley). When communicating map locations over voice chat, numbered hills can be referred to as "Hill ###". Pay attention to whether a specific hill can be seen from zoomed-out view or if someone must zoom in to the map for it to appear, as this can be confusing to players if not specified. We use the in-game map for planning and coordination purposes. One of our main methods of conveying information to other players is via using 'map marks' to indicate points of interest, waypoints, objectives, landing zones, enemy positions, and more. Below are some guidelines for making the most of the map. Heed these and things will go more smoothly for everyone. To place a mark on the map, double-click. You can enter text by typing, and then ENTER will finalize the mark. To change the icon of a map marker, press up/down arrow until you get to the marker you want to use. This (and coloring the marker) only works until you place it with ENTER. To change the color of a map marker, hold Left Shift and press up/down arrow to cycle through the colors. To delete a mark, hover over it with the cursor and press DELETE. Map markers are visible to the chat channel you are 'tuned' to when placing them. Ensure that you place markers in SIDE, GROUP, or VEHICLE chat. Placing them in ALL chat will allow the enemy to see them, which is.. you know.. bad. All map marker text should be written as succinctly as possible using abbreviations and acronyms. For instance, "aa" is anti-aircraft, "inf" or "ei" is infantry. Alpha Squad becomes "A", waypoint becomes "wp", and so on and so forth. Try to use the logical symbols when adding map markers, as time and the situation permit. See the picture below for sample markups. Adding a time to the mark can be useful in some situations. When doing so, use the in-game time (as seen on your watch) so that players in different time zones are not confused by it. 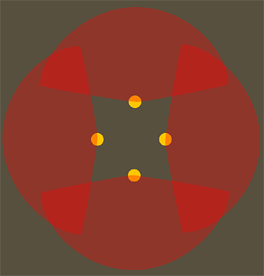 The compass is graduated three ways - the most basic is via the cardinal N/S/E/W directions. After that, it is graduated in degrees - 0 to 359. This is the inner, larger set of numbers, and should be used when calling out specific target bearings. The final, outer set of measurements are known as "MILS", and generally do not have a use in our group. In the event that you do ever use MILS as a direction call, remember that the numbers need two zeroes after them. The "2" marker on the outer ring is actually 200 MILS, for example. 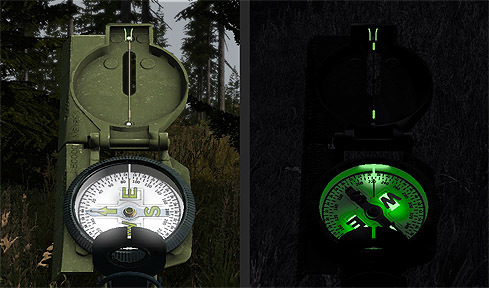 Note also that the ArmA2 compass has illumination on it for better readability at night. Also note that the compass, like other gear items, may or may not be available based on the player loadout in a mission. There isn't a great deal to say about ArmA's watch. The primary use is in higher-level planning - for instance, coordinating a large-scale multi-group collaborative session might benefit from using in-game times for certain events to occur at (artillery fire, CAS strikes, and coordinating that with the start of a ground assault). 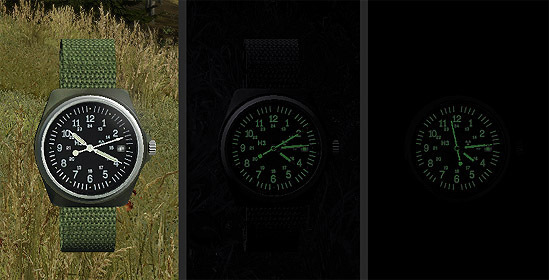 The other use of the watch is simply getting a feel for what the in-game time is, which can be useful if it happens to be close to dawn or dusk. Knowing that you have maybe 30 minutes of daylight left, or 30 minutes of darkness, can have a significant influence on your overall plan. One final use of the watch is in missions with limited communication setups. If "direct speaking" rules are enforced, the watch can be a method to synchronize various elements that are operating out of verbal range of each other. Like the other gear items, watches are inventory items which may or may not exist in the mission, based on the mission designer's intent.